For Super Bowl 49, Verizon needed to engage fans and demonstrate the power of devices running on America’s largest and most reliable 4G LTE network. 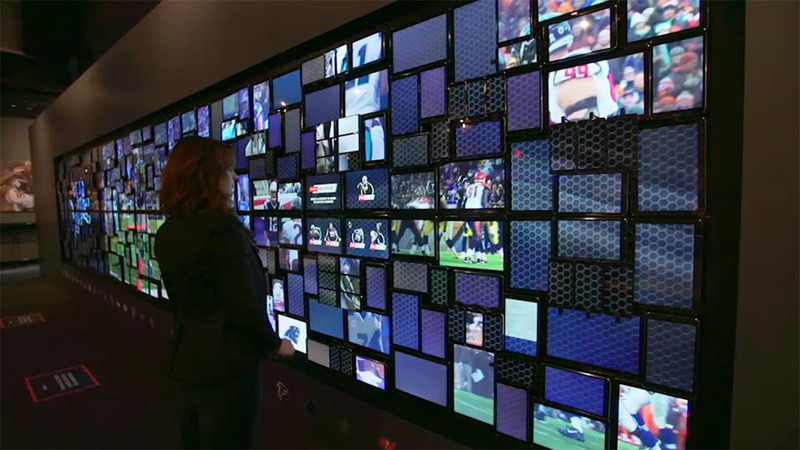 We matrixed together 408 Verizon smartphones, phablets and tablets to create an immersive and interactive experience where fans could choose from hundreds of the NFL’s greatest video moments to watch on a massive 27’ gridded screen. The wall, comprised of 5 different types of devices, played 18K video and was equipped with beacon technology to further immerse fans into the experience by name. It made for one awesome, and epic, fan experience.